The most common traffic offenses in Florida include reckless driving, driving with a suspended license, and driving under the influence. Some traffic crimes are serious felony offenses such as fleeing to elude, vehicular manslaughter or DUI manslaughter. After charges for a criminal traffic offense in Leon County or the surrounding areas, contact a criminal defense attorney in Tallahassee, FL, at Pumphrey Law. Our attorneys have years of experience. Let us put our experience to work for you. Call our lawyers at (850) 681-7777 to find out what you need to do today to protect yourself against a criminal prosecution and to keep your driving privileges. Pumphrey Law represents clients charged with serious traffic violations in Leon County and the surrounding areas of Florida’s Second Judicial Circuit including Wakulla County, Gadsden County, Liberty County and Jefferson County, plus the cities of Crawfordville, Quincy, Bristol and Monticello. Some of the most common traffic violations can result in fines, a driver’s license suspension, or even jail time. Reckless driving, according to Florida Statutes § 316.192, is when a person drives without care for the safety of other drivers or drives in complete disregard for the safety of others or property. Another common offense in Florida is driving while license suspended. Florida Statutes § 322.34 states that anyone whose license has been suspended or revoked and drives on Florida’s roads can be found guilty of a moving violation, misdemeanor or felony, depending on the reasons for the license suspension, the number of prior offenses and the alleged offender’s knowledge of their suspended license. 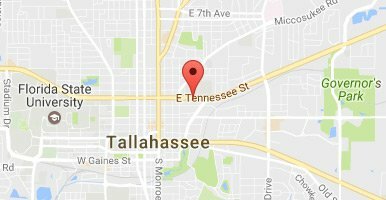 A Tallahassee driving while license suspended attorney can help. For those who have had several traffic tickets, they can be issued habitual traffic offender revocations. Florida Statute § 322.264 defines a habitual traffic offender in Florida as someone who has accumulated a certain number of criminal convictions or offenses within a five-year period. A habitual traffic offender can have his or her license permanently revoked or suspended for up to five years. Vehicular manslaughter is considered a traffic offense that comes with extreme sanctions if convicted. Florida Statutes § 782.07 says vehicular manslaughter is caused by someone operating a motor vehicle negligently, and it results in the death of another person. A vehicular homicide charge is a level above manslaughter because the offender acted recklessly. To be specific, Florida Statutes § 782.071 states vehicular homicide is the killing of another human by operating a motor vehicle in such a reckless way that is likely to cause bodily harm or death to another person. Another traffic violation that occurs is fleeing with the intent to elude. This criminal traffic offense is defined in Florida Statutes § 316.1935, which says any person who has been ordered to stop by a law enforcement officer, and has knowledge he or she has been ordered to stop, but does not could be charged. Someone who attempts to flee or does flee from an officer also can be charged with this third-degree felony. Leaving the scene (often called hit-and-run) is defined in Florida Statute § 316.027. Any person who is involved in a car accident that causes injury to someone else must stop their vehicle and remain at the scene until they are permitted to leave. Anyone who does not do this, intentionally, commits a felony of the third degree. If someone causes death to another person from an automobile accident and intentionally leaves the scene, he or she could be convicted of a felony of the first degree. Additionally, under Florida Statute § 316.061, if someone is involved in a car accident, and causes property damage or damage to another vehicle, and intentionally leaves the scene, they can be found guilty of a misdemeanor of the second degree. Florida has created a point system in which points are assigned after a conviction for certain types of offenses. If someone accrues too many points from the system within a specific time period, that person can have his or her license suspended. If a person accumulates 12 points within one year, his or her license can be suspended for 30 days. If 18 points are accumulated within one year and a half, a license can be suspended for 90 days. If a driver accrues 24 points within three years, a license can be suspended for one year. To avoid points from a ticket for a moving violation, anyone can attend a traffic school. However, the election to go to traffic school only can be made once per year, and only five times within a 10-year period. A person making this election will have to notify the Clerk of Court that he or she intends to attend traffic school for a moving violation citation. This option is not available to those with a commercial driver’s license. You can also avoid the points if the court “withholds adjudication” so that you are not convicted of the offense. If your license has been suspended due to too many violation points, you may be eligible to receive a hardship license if you complete a 12-hour Advance Driving Improvement course, pay the required fee for reinstatement and any other additional fees. The Florida Highway Patrol maintains law enforcement and traffic safety awareness and promotes safe driving throughout Florida. The site focuses on providing information concerning the roles and responsibilities of the patrol along with resources on driver licenses, vehicle tags, and registration, office locations and relevant forms. If you have been charged with a traffic violation in Leon County, Tallahassee, contact the attorneys at Pumphrey Law to discuss the facts of your particular case. The attorneys will help you determine if there are defenses or mitigating circumstances to reduce your charges or have them dismissed. Contact Pumphrey Law at (850) 681-7777 or send an online message for a free consultation about your traffic violation.